Our plastic key tags are made from pvc material, it is the best way to expand your business at a low cost. We offer plastic key tags from single key tag of varying size to key tag card,wallet card, key tag combinations. You can attach it to your key chain, tuck it into your pocket or give it to others. 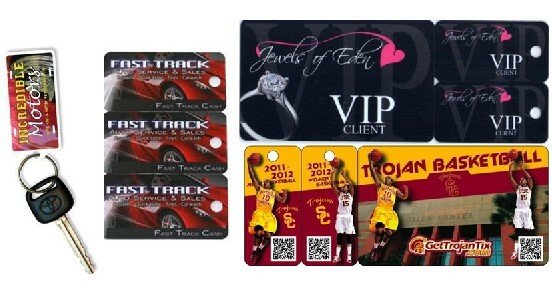 The plastic key tags can be used for customer rewards,loyalty cards,marketing your business and other applications.